I rarely find myself in this part of London but for a dear friend’s farewell I found myself traipsing along this mini Greek enclave. I say mini because there’s only the Hellenic Centre and The Real Greek here besides Opso, heck three’s a party! Opso serve small plate, mezedes in London’s continued fascination with all things tiny. And following another trend, no dish is left without modernisation, as I was to find out. It’s difficult to judge how to order when you need to order individually for a menu designed to be shared but on this occasion I went for the classics, Kleftiko and Souvlaki. But just to make sure that you don’t forget that everything here is ‘modernised’ they put it in quotation marks. As I suspected, two was not enough, probably another one or two would have done the trick. 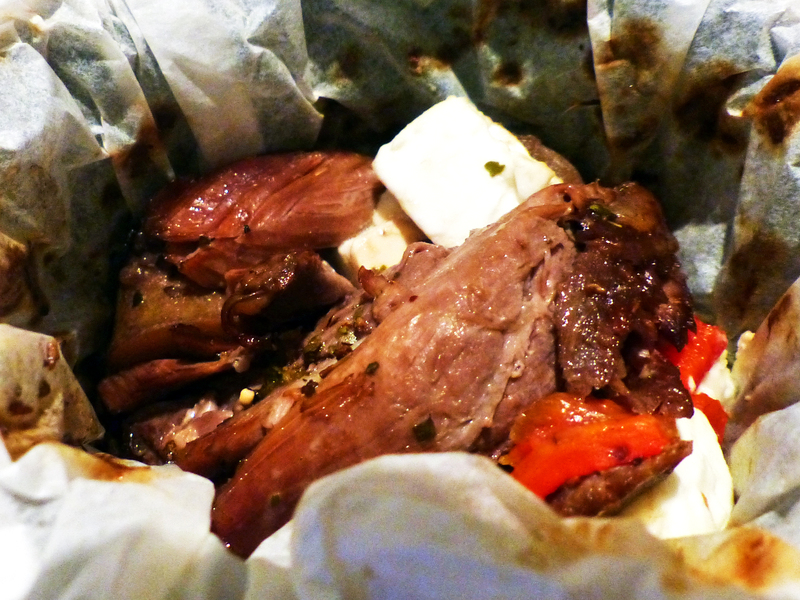 The Kleftiko came in a diminutive clay pot, filled with lamb, roast potatoes, peppers and smatterings of cheese. Everything was in place for a simple, hearty meal besides the portion size. I am not lambasting Opso for serving miniature portions when that’s what it’s targeting but I expect the quality of the dish to be heightened when quantity is reduced or at least for there to be some sort of excitement. 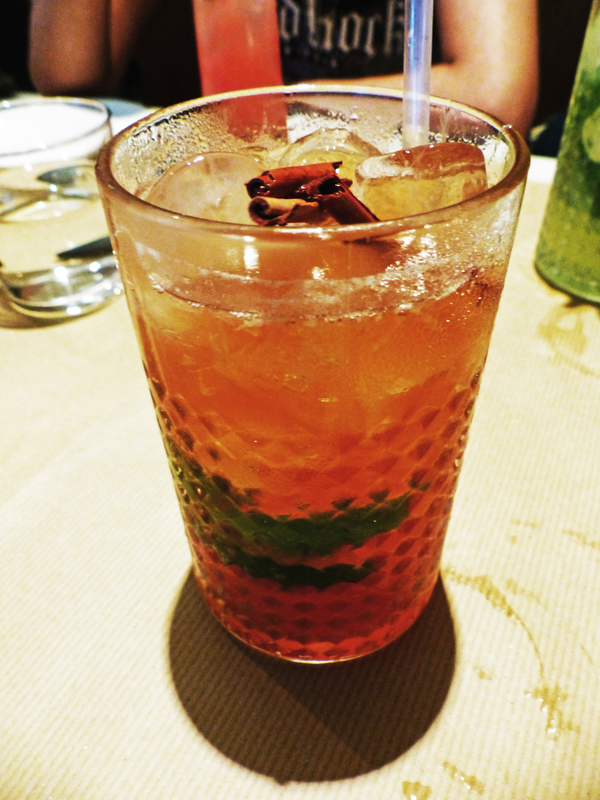 Whilst Opso’s Kleftiko is by no means shambolic I simply have little recollection of the dish. Saying that the lamb was decently cooked, though not moist enough. The cubes of cheese provided the distinctness this dish was craving for but it doesn’t really marry together the ingredients. My second order of Souvlaki was forgotten until I gave a tender nudge. What came was the smallest pitta I’ve ever seen. I had assumed so when I saw the oreo sized squid ink bun. 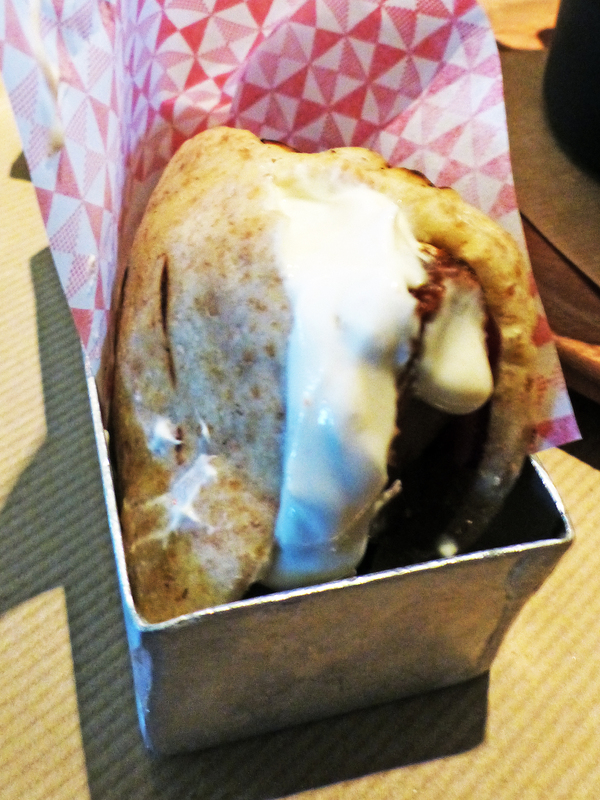 My opinion of the Souvlaki is much the same as the Kleftiko, the execution of the dish is fine but there is no interest (and its doused in tzatziki). You might as well hike out to Aldgate to Bluez Souvlaki Fresh and get a Souvlaki to fill you up for almost the same price. 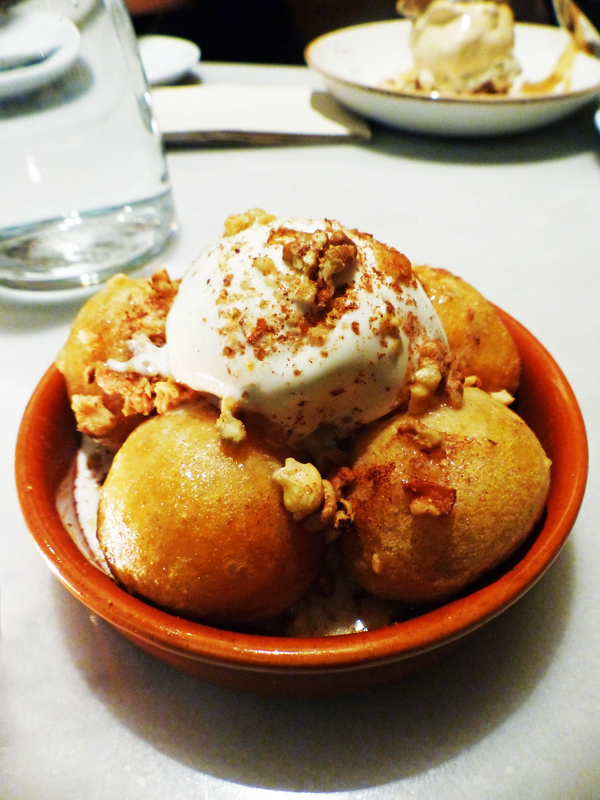 Feeling a little underwhelmed and still peckish I embarked on the dessert menu ordering the Loukoumades. Funnily enough the desserts were three times as large as the tapas. This was the reason I didn’t need to rush off to the local KFC. If there was a time for restraint this was it but instead Opso went full on. Whilst the first bites were intriguing and moreish, with the chewy dough and its slightly crispy edge softened by the light taste of kaimaki ice cream and the hint of thyme, it quickly became a chore as you trudged through your fifth honey high. Dieters look away. My advice, never order separately at a tapas restaurant! The architect in me needs to applaud Opso’s interior designer; Athens based K-Studio. The palette is beautiful and unashamedly swish. And besides the playing of the Lord of the Rings audiobook in the toilets, only topped by Sketch for randomness, which I’ll be reviewing shortly, I absolutely loved the metalwork around the mirrors matched with the colour palette. Anyway, I’ll switch food brain back on now. To sum it up. Opso actually serves decent food designed to be ordered in quantity for you to share but at the prices and quantities on offer it simply doesn’t match up. It’s a decent place for a drink and a snack but at a cost. The decor lifts its score. Might I also add, a Greek restaurant without feta? Sacrilege!